I read the story about the two young girls, age 5 and 8 who survived in the woods for two nights in the woods until they got rescued. These two girls had their wits about them and used what they learned in 4H survival training. When rescuers found them they were dehydrated and felt cold but were healthy and safe overall. This story reminded me that it’s never too early to teach survival – even young children need to know some basic survival skills. 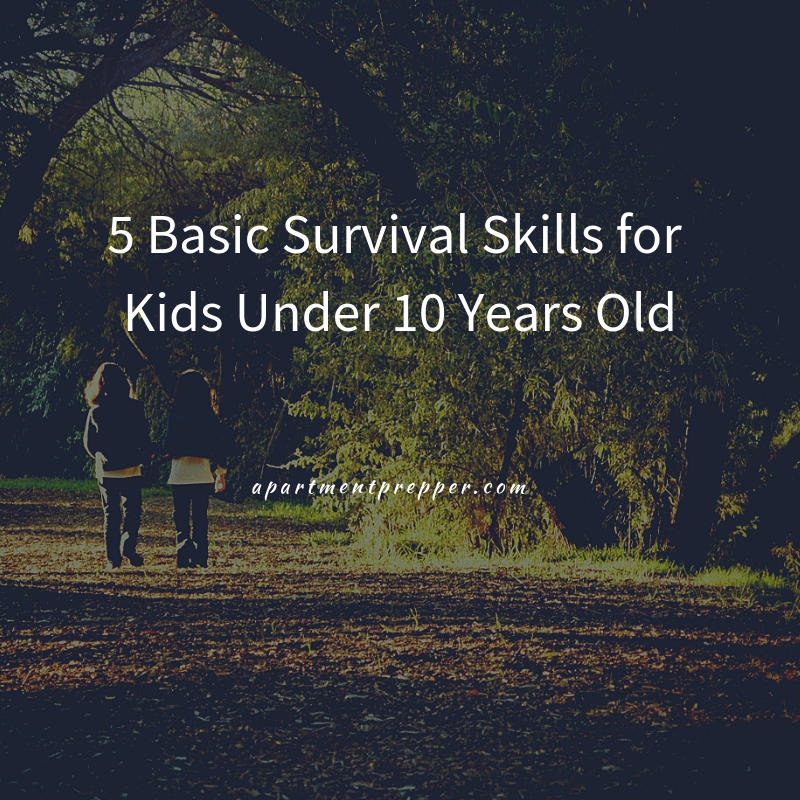 Let’s take a look at survival skills that are appropriate for kids under 10 years of age. The girls who survived in the woods did the right things – they stayed put and they stayed together. Off course, kids can get lost anywhere – a grocery store, shopping mall, amusement park, etc. Stay put. Teach your kids that as soon as they realize they are lost, stop moving. This way they can be spotted a lot quicker. If they are with other children, stay together. Start yelling for help – if their parent is nearby they can be spotted right away. If you know you are going out to a crowded area or out in nature, give them an emergency whistle and show them how to use it only when they need help. Ask another mom with kids for help. Studies show that kids are most likely to get assistance from another mom with children. Kids need to know what to do when a stranger knocks. Some kids are naturally friendly and may fling the door open as soon as they hear the doorbell. Unfortunately, there are criminals that may take advantage. We have heard crime reports where a home invader entered the house when kids opened the door. Teach kids to stay quiet and get an adult to answer the door if they hear the doorbell ring or someone knocking on the door. A parent having medical emergency and passes out. A toddler was able to call for help when her mom became unconscious. Family being threatened. This young boy called 911 and saved his family from gunmen. Kids can be taught at an early age to look around and take notice of their surroundings. Make a game out of it and they will have fun. Memory games: While out and about have the kids look around. Then have them close their eyes and name everything they can remember. Name the exits: When visiting a restaurant, store or movie theater, observe where all the doors to get in and out are, then ask them a few minutes later where they are located. “I spy”: While driving or stopped at a light, describe and item you see and they get to guess what it is you are describing. These are just a few quick games we have done, if you have other favorite ways to teach your kids situational awareness, please share in the comments. Water is an important survival need. The girls who spent two nights in the woods survived by drinking water from huckleberry leaves that were around them. They already know the feeling of being thirsty; when they see you pack a water bottle pack a water bottle, mention our need for water. Help young children understand the difference between clean water and dirty water – identify water sources around you wherever you are and name whether they are clean or dirty. Show kids how you purify water with your tabletop water filter, or how you purify water while camping. Another good lesson is how to conserve water, since water is a precious resource in a disaster. 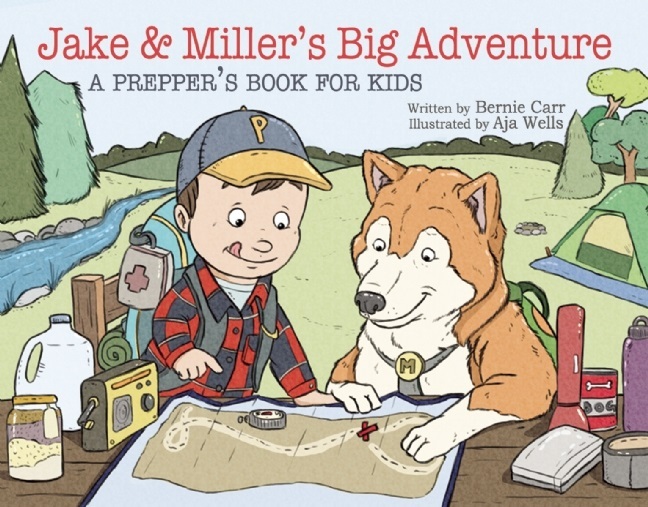 It’s never to early to teach kids about the basics of survival. These five are goods ones to start with, but there are lots more. You can also read age-appropriate children’s books or watch movies that introduces them to survival needs. 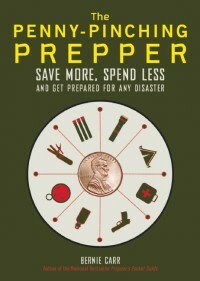 What other survival skills have you taught your kids? Please share in the comments. I read once that if you are thirsty and near a creek to dig a hole about two to three feet from the water and wait for the hole to fill up with water, the ground will filter the water. Not 100% sure if its still safe but in a life or death moment I think I would drink it. TheSouthernNationalist, I’ve heard that one as well. I’d filter it additionally with a bandana or whatever I might have and would drink it as well, if it were a life or death situation. Thanks for the comment! Interesting read, I re read this 3 times and I wanted to make sure that I remembered this and then had a chat with my daughter about this. Thank you! Hi Randy Todd, Glad you found the article interesting; thanks for the comment!